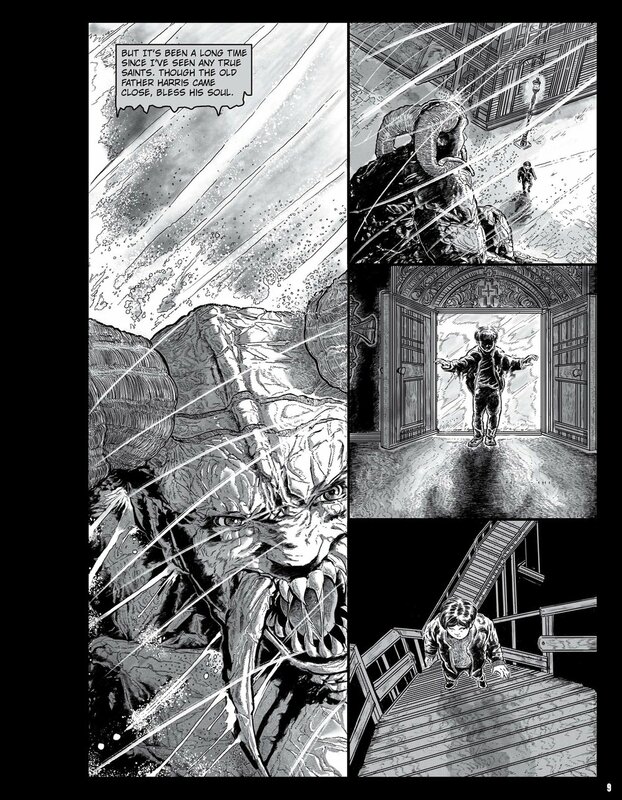 Here are pages from my new graphic novel, Sanctuary: The Stone Man Mysteries, Book Two. It is written by the New York Times best selling author Jane Yolen and Adam Stemple, lettered by Bill Hauser, and edited by the patient and fantastic Greg Hunter. The graphic novel is published by The Lerner Publishing Group.